1. This IVS license has been activated already on other machine. user changes Motherboard/RAM/CPU/HDD/OS and Network Adapter....etc. please notice that re-install OS is "OS change". 1. Any change on Hardware? Re-install OS? Change HDD/Motherboard/CPU/RAM ...etc. ? 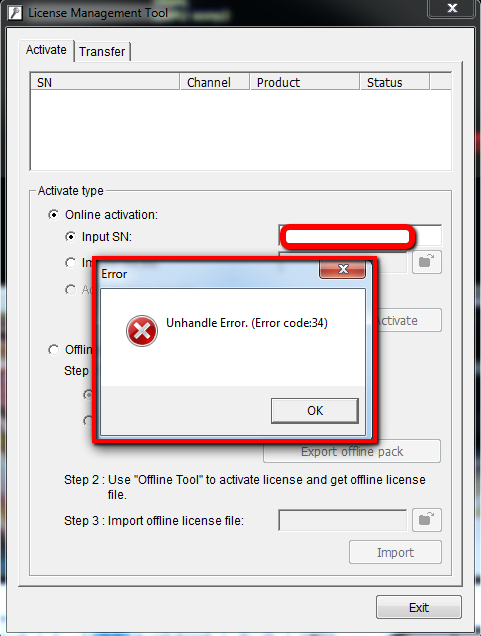 License issue includes error code,activate,transfer. What condition can IVS Count guarantee the best performance? How much time does it require to resume recording upon volume failure? How to interconnect Mainconsole in Crystal NuClient?